In the early 2000’s, my musical tastes were limited to praise & worship and CCM pop, but as time progressed, I was exposed to many new artists, one of them being hip hop/rap trio Group 1 Crew. Their third album Outta Space Love was the first album I ever heard from the band from start to finish; and I was very impressed, with songs like “Let’s Go”, “Need Your Love”, “Please Don’t Let Me Go” and the title track all being highlights. Since then I have been avidly following the band and all of its members. As the band released Fearless in 2012 after Pablo left the band, in 2014 there was another personnel change- Blanca Callahan stepped down to be a solo artist. One of the former lead singers of CCM/pop/hip-hop/rap group Group 1 Crew, solo artist Blanca released her debut self-titled album in 2015 after being in the group since the band’s inception. With much of the spotlight and the criticism being put previously on Group 1 Crew, with plenty of critics commenting on how they thought the band should sound like (not that it was only Manwell Reyes fronting the group! ), understandably Blanca’s debut album slipped by under the radar in terms of promotion and buzz. However, after all this time, Blanca’s first release, complete with Blanca’s distinct soulful and captivating voice, blended together with a myriad of genres from reggae, pop, CCM, r&b, gospel, soul and many, many others, and also comprising her singles “Who I Am”, “Greater Is He”, “Not Backing Drum”, “Echo” and “Different Drum”; still has listeners singing along with the catchy beats and relevant lyrics. So, while it’s been about a couple of years since Blanca released anything new, and we may have been getting restless, and wondering when new music is coming; just this past week, Blanca dropped a new single, called “Real Love”. So how does this single stack up against the many other single highlights this year, such as Lecrae’s “I’ll Find You”, Capital Kings’ “Love Is On Our Side” and Carmen Justice’s “Red and Yellow, Black and White”? Well first or all, let me just say that this isn’t like anything Blanca has released at all. It’s not CCM and pop like her self-titled debut solo album in 2015, and not rap like what Group 1 Crew have always been famous for. It’s purely piano, but not a worship ballad. I’m not entirely sure what to classify the song as, maybe soul or gospel? Check out the music video below and let me know what you think. Now, have you finished? Though a simple video, Blanca eloquently reminds us that the things we do and how we look and dress doesn’t matter to God, that He just wants our hearts. Calling out fakers in the chorus, Blanca tells us all to ‘…leave your religion at home…’ and also encourages us that ‘…I know it’s about what He’s already done, not about what I think that I gotta do…I don’t need no stained glass to be washed in his blood, I don’t need no perfect, put together pretty words to be enough…’; and it is in this in-your-face anthem that we are glimpsed maybe into the type of album lyrically and musically that Blanca may be releasing very soon. Will to be what the fans want, and will it be what sets Blanca’s sophomore solo studio effort apart from others, and help her avoid the ‘sophomore slump’? Only time will tell I guess, although from first listen, this song is quite good lyrically, even though musically it takes a while to fully appreciate and be immersed in what Blanca is trying to convey here. For some, the fact that Group 1 Crew have totally rebranded and now Blanca is creating solo music which is stylistically different on the whole than the rap that Group 1 Crew was famous and popular for; would be a bitter pill to swallow. But in my opinion, Blanca’s newest single is something to be celebrated as it marks the beginning of a new chapter (genre change? ), with plenty of God moments and a thoroughly inspiring message. No doubt Blanca will definitely be successful on many radio stations! Fans of Beckah Shae, Britt Nicole and TobyMac will love this new song, and as we eagerly anticipate this new record, let us sit back and marvel at Blanca’s prowess as a singer and a songwriter. 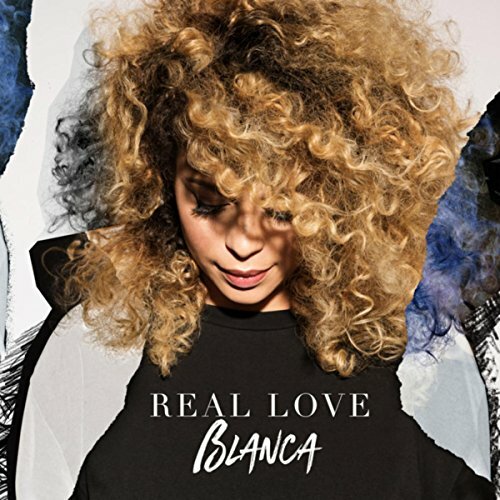 3 songs to listen to: Real Love…until we all realise that this song is musically very different from any of Blanca’s songs from her self-titled debut album- is Blanca changing genre and recording gospel this time?